Training During the Holidays | Fit Girl. Happy Girl. 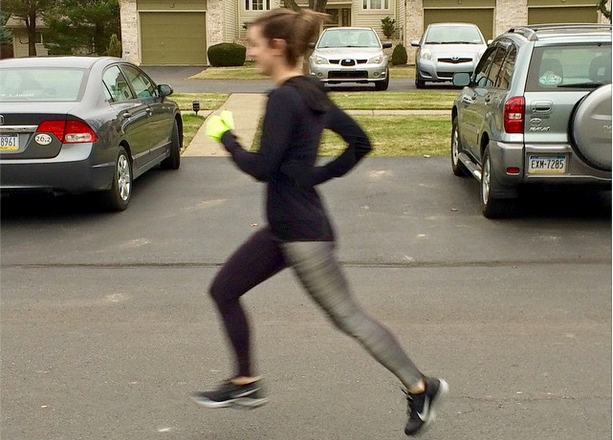 I once read on this cool, little website called runnersworld.com (cough, my employer, cough) that to maintain fitness when you’re not in training you just need to run 30 minutes 2-3 times a week. I kept telling myself this last week as I watched days go by during the holidays and I barely ran more than 5 miles at a time. I ran exactly one speed workout (6 miles with 3×1-mile at goal 5K pace, so nothing to scoff at!) and managed to fit in three other measly runs between the presents, the family time, the cookies, and the wine… all of the wine. Instead of feeling guilty about missing a long run and consuming about a billion calories, I reminded myself of that nifty running tip from RW. Fitness doesn’t disappear after a week of reveling and enjoying yourself with your family during the holidays. In fact, sometimes breaks like I had last week help to restore your determination in training, whatever your goal might be. Last week I made sure to check off my most important workout and I planned it so I’d run that workout before heading back to Massachusetts to see my family. Why did I do this? Because I knew I wouldn’t be able to drag myself away from a delicious breakfast with my family in our cozy New England home on Christmas Day to run 3×1-mile. I knew I would be up late, drinking wine, eating delicious foods, and enjoying the company of those I love. Missing out on moments like that to run a workout is not worth worrying about my fitness. Your fitness will be fine during the holidays. Enjoy time with your family, friends, and loved ones, and worry about your training after New Years and the holidays are just really lovely recent memories. You can hit the roads as hard as all the other New Year’s resolution-ers do every year. for sure! my mileage dropped to about half of what it usually is this week. I feel a bit guilty but hey,it’s the holidays! My mileage dropped too, but the holidays are way too important to skip family time for a run. We also moved to a new home on Dec. 13th and clearly my cross training for most days was unpacking and moving things from room to room! Pingback: Monday Motivation: Make It Count | Fit Girl. Happy Girl.